“As physicians, we have a special responsibility to safeguard health and alleviate suffering. 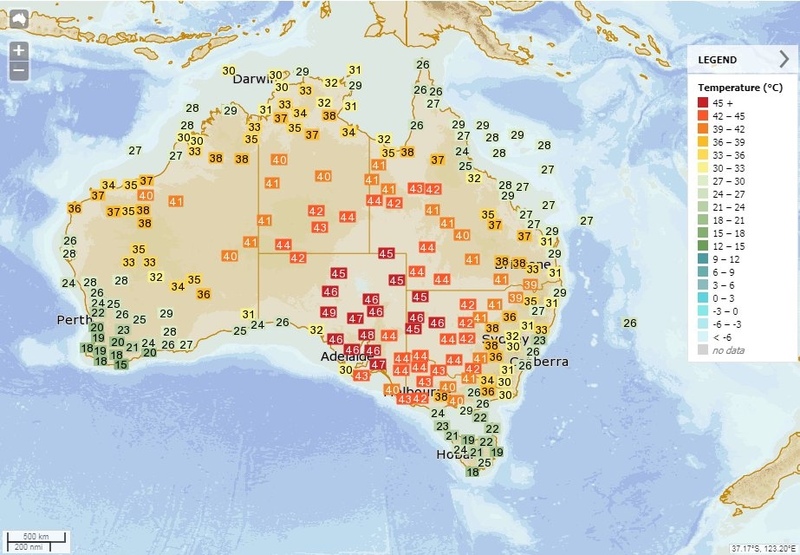 Working to rapidly curtail greenhouse gas emissions is now essential to our healing mission,” says an editorial by two doctors in the New England Journal of Medicine. Doctors can encourage lifestyle changes that reduce the environmental footprint, but they can also play a role in educating people about the health consequences of climate change, say Dr. Caren G. Solomon, an associate professor at Harvard Medical School, and Dr. Regina C. LaRocque, an assistant professor at Massachusetts General Hospital. Nearly half of Americans (48%) think people in the United States are being harmed by global warming “right now,” according to the latest survey by the Yale Program on Climate Communication. That’s an increase of 16 percent since March 2015 and 9 percent since March 2018. 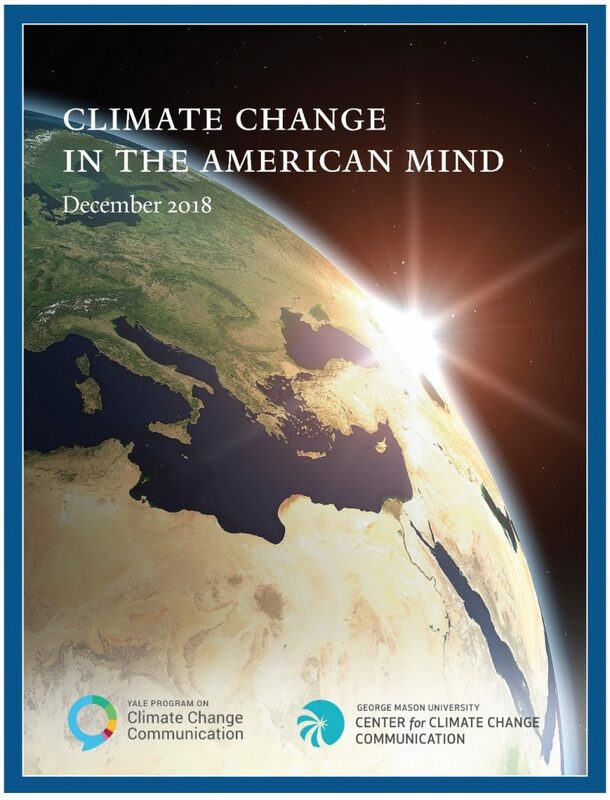 Read the executive summary or the full report, “Climate Change in the American Mind: December 2018” by going to the Yale website. In a different survey, Americans demonstrated growing support for a carbon tax to reduce greenhouse gas emissions, provided they are given sufficient details on how the revenues would be used, according to November’s National Survey on Energy and the Environment, which has been tracking public opinions for the past 10 years. A majority (60%) of Democrats said they would support a carbon tax even when given little information about how that tax would be designed. But the same is true of only 30% of Republicans, according to the summary of findings. Yet a majority of both groups are more supportive of a carbon tax when details are given about how the revenues would be used. Among Democrats, 85 percent would support a tax that directs revenues to clean energy projects or to improve energy efficiency, while Republicans support those concepts at 66 and 69 percent. A growing number of economists from both political parties — including four former Federal Reserve chairmen — favors a carbon dividend plan to “send a powerful price signal that harnesses the invisible hand of the marketplace to steer economic actors towards a low-carbon future,” they wrote in an op-ed in the Wall Street Journal. The plan has such broad appeal because it would be “revenue neutral” by giving rebates to all Americans while reducing regulatory uncertainty, according to the group. In addition to the former Federal Reserve chiefs, the list includes 27 Nobel Laureate economists, 15 former chairs of the Council of Economic Advisers and two former U.S. Treasury secretaries, George Shultz and Lawrence Summers. Schultz and Summers authored a seven-page outline of the plan called “The Dividend Advantage (PDF 1.3 mb). “For the first time, there’s consensus among economists on what to do with the money, and the answer is to give it back to the American people,” said Ted Halstead, head of the Climate Leadership Council backing the plan, as quoted in Bloomberg. If carbon pricing has you confused, it may be time to return to basics with a video featuring chickens as a way to understand the economic forces that could bring greenhouse gases under control. The video focuses on the two major pricing mechanisms — carbon tax and cap and trade. 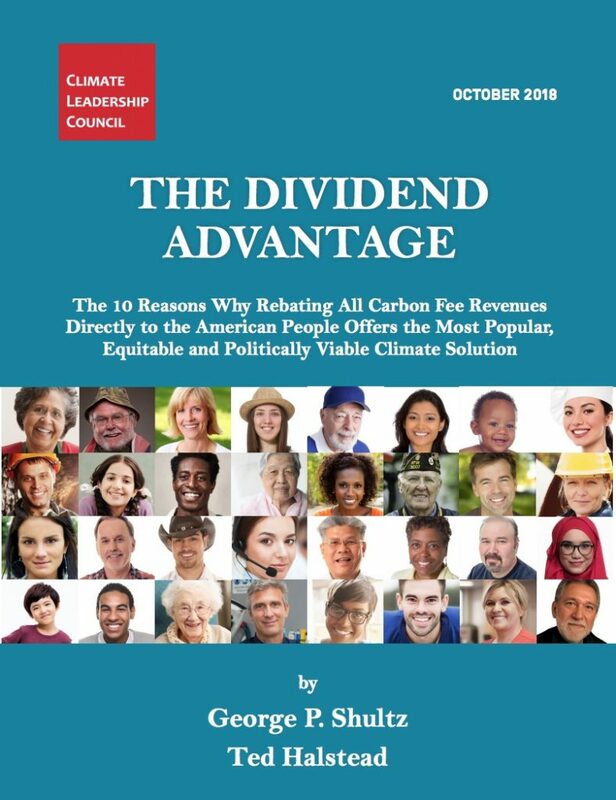 The “carbon dividend plan,” supported by the economists mentioned above, would simply redistribute the tax to everyone, regardless of how much tax they paid. The video, seen on this page, was posted on EarthFix Media, a partnership of Oregon Public Broadcasting, Idaho Public Television, KCTS9 Seattle, KUOW Puget Sound Public Radio, Northwest Public Radio and Television, Jefferson Public Radio, KLCC and the Corporation for Public Broadcasting.